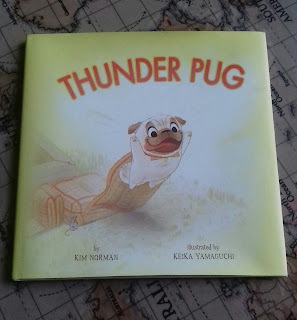 Today DS7 is reviewing Thunder Pug written by Kim Norman and illustrated by Keika Yamaguchi, published by Sterling Children's Books. Check out our sneak peek inside the book over on Instagram here. Who are the main characters and what are they like? The characters are Percy the Pug and Petunia the Pig. 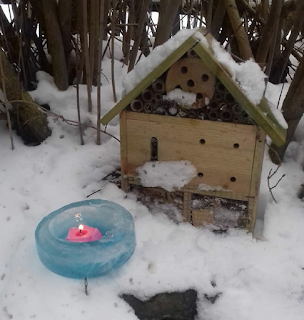 They are friends who like to play together, puffing dandelion seeds and playing other games. Petunia wins a blue ribbon and doesn't have time to play with Pug anymore so Pug reads his superhero comic and has a good idea that turns out rubbish until Petunia comes along. She has an idea too which is better than Percy's. As a mother of five active kiddies I always seek ways to optimise their health. One of these ways is exploring the different options of vitamins on the market. I have come across many different varieties and brands but wanted something which are not only palatable, but also having the added benefit of not containing sugar, articifical colours and anything else deemed unhealthy. Last week we discovered Chewwies, the yummy gummy vitamins! 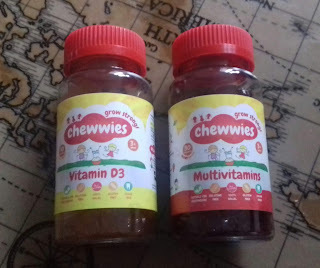 We have been sent this Chewwies Bundle Pack which consists of Chewwies Multivitamin and Vitamin D3, shaped like little teddy bears. As soon as the kiddies saw them they wanted to give them a try, they do look just like sweets after all! But would they taste as nice as they look? 'Chewwies® was founded and established by a group of dedicated and committed healthcare professionals, who found it increasingly difficult to provide their children with healthy supplements which suited their dietary requirements. Last Sunday we had family visiting in the afternoon, so out came the hoover and we cleaned the house from top to bottom. It's too easy to turn on the computer and allow the kiddies to have some screentime whilst I am busy fluffing cushions and clearing away toys, so that no one stands on any tiny Lego pieces, OUCH! However, I had just the thing to keep the kiddies occupied - a Timeout Bag! 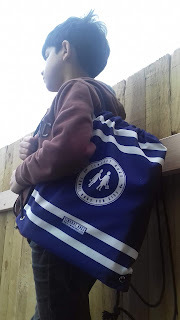 A Timeout Bag is an eco-friendly bespoke activity bag in line with the National Curriculum, supporting 'STEAM' Education, and designed to minimise screentime and encourage learning through play. Home Ed Q&A with a second generation Home Educator! Today I am interviewing a second generation Home Educator from here in the UK so grab a cuppa and have a read! education which my pioneering parents gave me and my eight younger siblings. simply like an extension to parenting. Our Top 10 Educational Resources 2018! 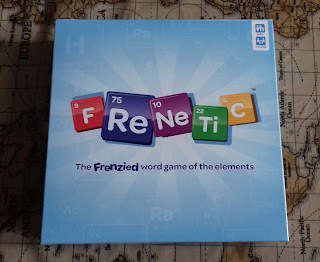 1) FReNeTiC! - This fun, educational boardgame has provided lots of entertainment especially for the older kiddies who say it's the best game they have played this year! This fast pace word game has not only kept them busy, having fun together as a family, but has also helped their vocabulary, spelling and mental maths! Check out our review here. 2) Den Kit - This summer the boys set out on a woodland adventure taking along their Den Kit! They worked as a team as they set up the tent and applied camoflage facepaint before sitting in their hideout looking out for wildlife and birds, writing poems and reading books. Check out our review here. 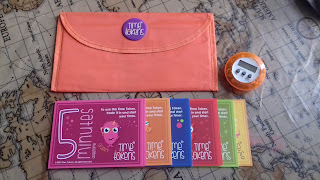 This week we are trying out an amazing new framework, TimeTokens which has been co-created by a 7 year old, to try to keep the kiddies' screentime to a healthy limit and hopefully it will also give us more opportunity to do things together as a family. I prepare crafts for the kiddies at the start of each season and this weekend I have been scrolling through our Instagram page here to remind myself of all the activities we got up to last year. Here are some of our favourites that we thought we'd share with you all and we can't wait to show you some of the crafts we have planned for this year too! All you need are a few bits and bobs you'll probably already have in your Home Ed classrooms!